I have been at a loss as to what to say about yesterday’s tragic shooting in Ottawa. The shooting and death of the young soldier Cpl. Nathan Cirillo, while he stood guard at the War Memorial, will change Canada forever. 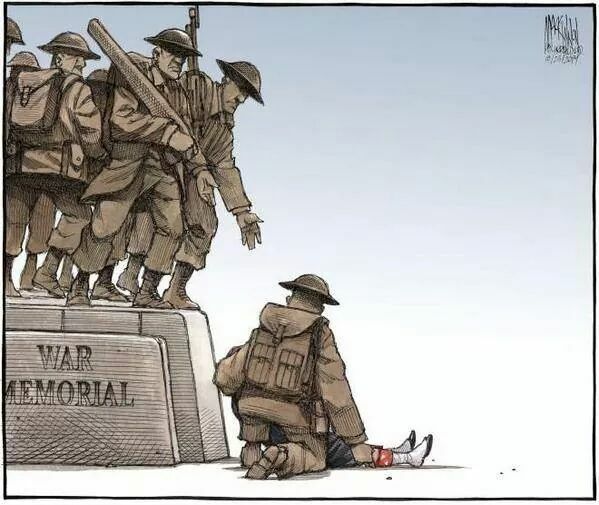 The cartoon above is by Bruce MacKinnon who is well known for his powerful art, it more than anything else hit me in a number of ways. I grieve for this young man’s family, and for the Canada of two days ago. I'm at a point where I don't watch the news, I just get terribly angry. But this awful story did find way to me. I feel like Canada lost it's innocence. Sometimes I feel it would be better to stop watching the news, but I can't do that. Perhaps we have lost some of our innocence, I do feel that our country will now be changed in a way, but then other countries have already faced this.